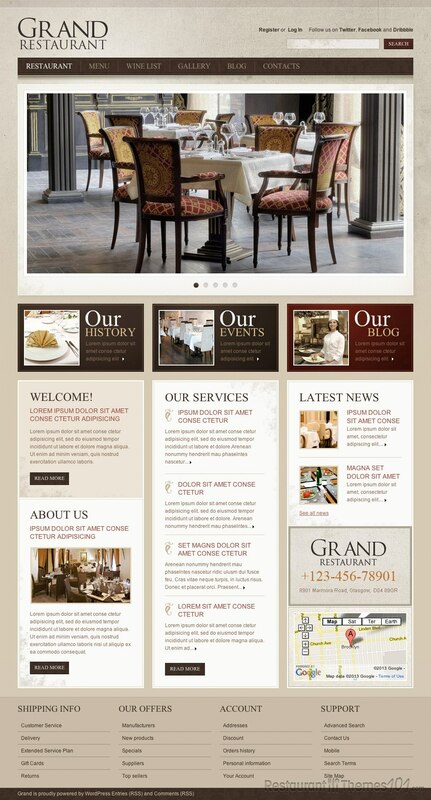 Grand Restaurant is a great WordPress restaurant theme featured on Template Monster and created by Mercury. 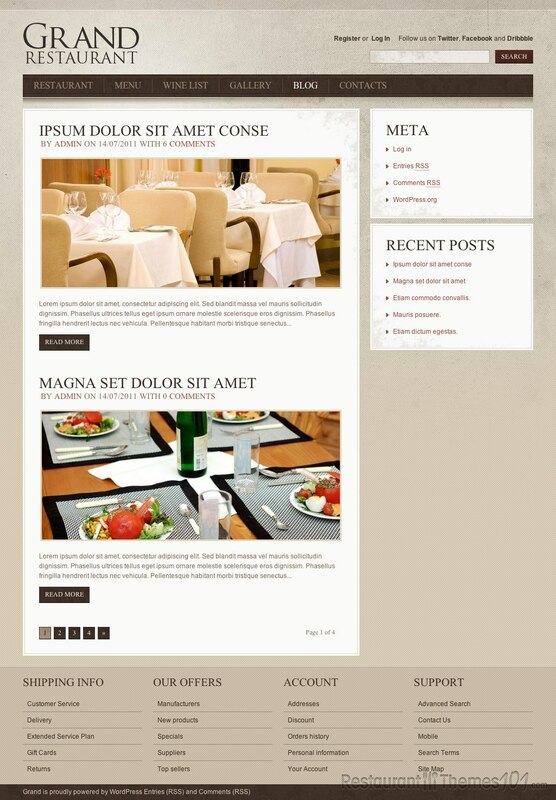 The theme has a unique, elegant design that will surely catch the attention of your visitors. 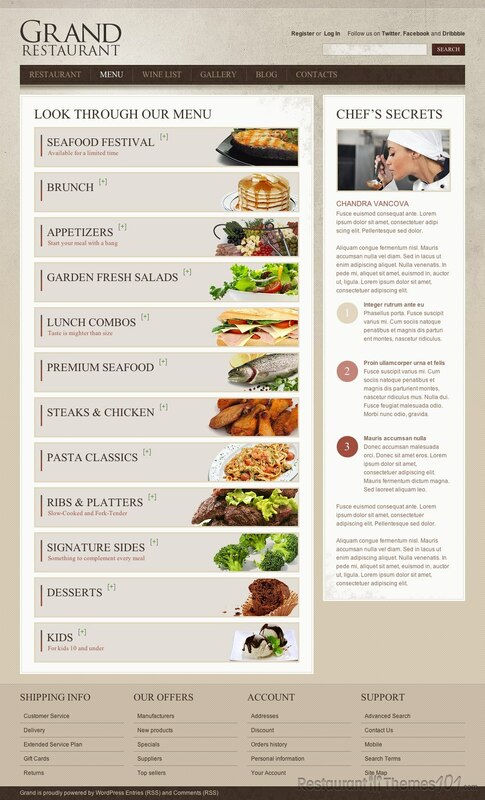 It has a stylish, classy yet welcoming look and feel to it, and the theme can fit any kind of a restaurant. No matter if it’s a luxury place or a cozy restaurant with domestic food. 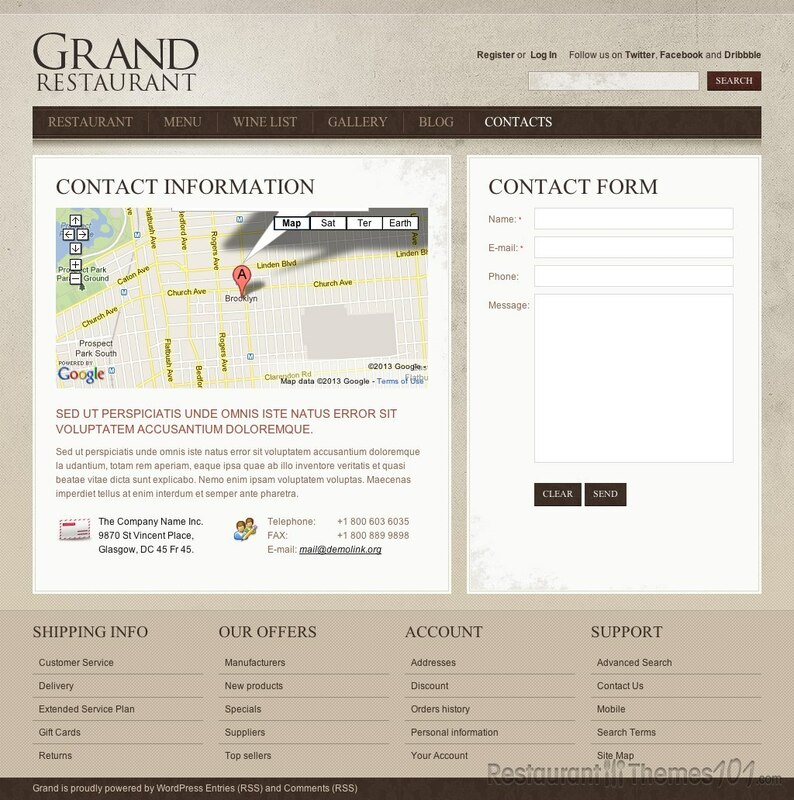 Grand Restaurant features a powerful admin panel which will allow you to easily manage your website. There is plenty of space in the layout for you to show your content and arrange it the way you see most fit for your taste. 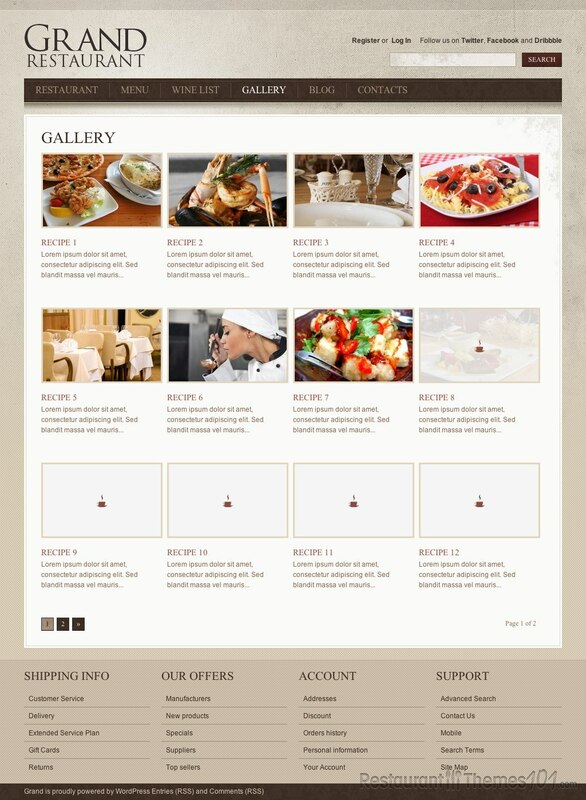 The homepage features a big slider where you can put photos of your restaurant or photos of your most delicious dishes and have your visitor’s attention grabbed right away by the look of your welcoming place and your delicacies. You will be able to create a categorized menu along with photos and details about each and every category, as well as details for each dish you offer – and all of this with the possibility of adding photos of everything. You can even present your chef along with a photo and have him write an introduction for the food you serve your guests. 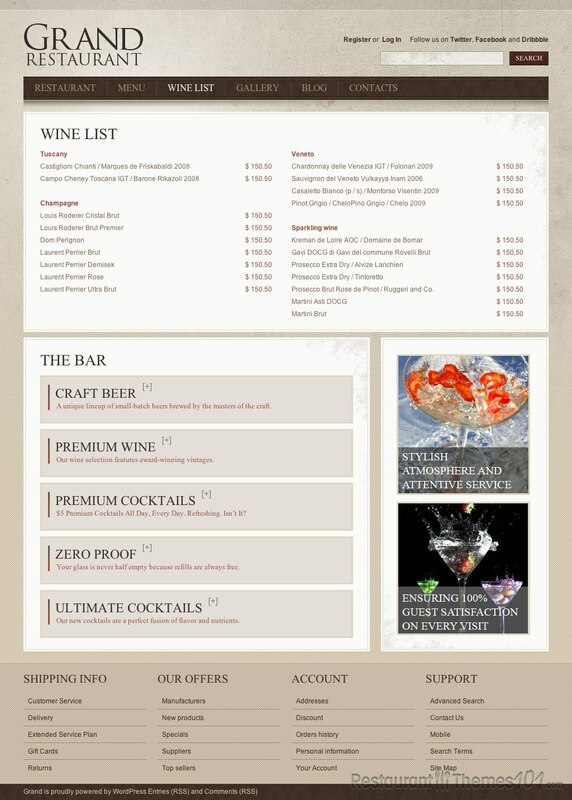 There is a separate section for your wine list, and also this theme features a blog section where you can add as many posts as you want and show them on your homepage with thumbnails and small parts of your text and by clicking it the visitors will be taken to the full content post. This is a very nice way of introducing your visitors to your restaurant history, your special offers, past and future events, etc. The Grand Restaurant theme also features a Google Maps integration which will be very useful, especially for visitors who are out of town and not really sure how to get to your restaurant.